This page is for the 1992 game. 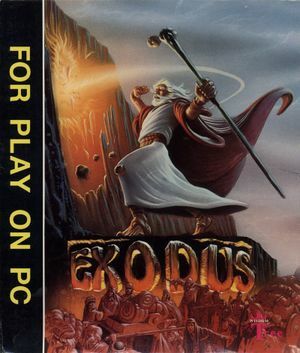 For the unrelated 2013 game, see Exodus (2013). Bundled with Spiritual Warfare, Joshua and the Battle of Jericho, and Bible Adventures. Bundled with Spiritual Warfare, Joshua and the Battle of Jericho, and Bible Adventures. Pre-packaged with DOSBox.